Safe Convection Comfort for Your Home! With 1500 watts of comforting warmth and virtually silent operation, this effective heater will take the chill out of your room. 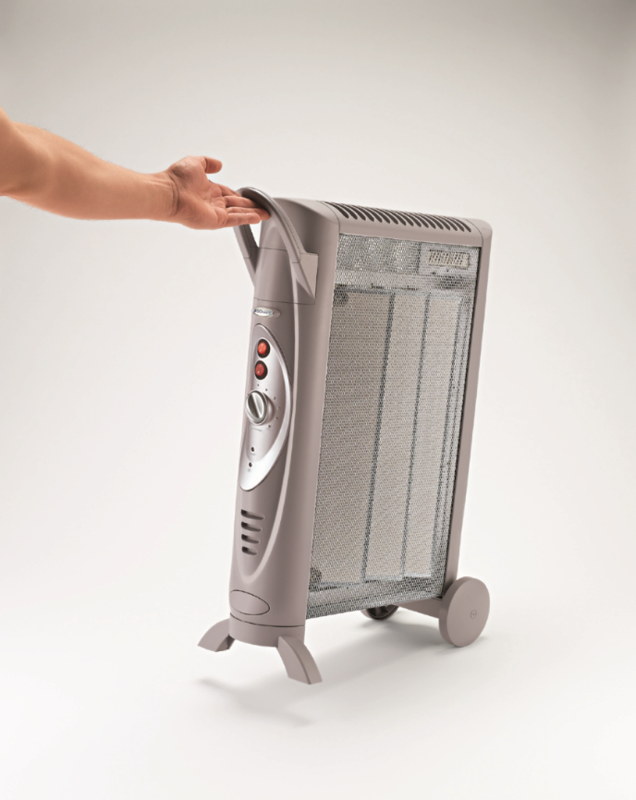 Using an efficient portable heater like this Bionaire heater to warm the room you're in can help you save on overall energy costs and can also reduce wear and tear on your main heating system. The Bionaire Micathermic console heater offers a slender design that uses minimal space while heating your room with quiet but effective convection heating. The micathermic heating panels are made of the mineral mica, which resists breakdown and has excellent stability while offering significant weight savings over oil filled heaters. The adjustable thermostat control and heat mode settings let you set the heat just right for you. This heater also includes wheels and a carry handle for easy portability and safety features. Energy Efficient thermostat enables you to set your custom heat preference. The heater will operate to maintain your desired comfort level. Weighs up to 50% less than oil filled heaters. Smooth-rolling casters and carry handle make it simple to move. This lightweight home heater is virtually silent during operation and provides steady heat. Adjustable, energy efficient thermostat, lets you set your custom heat preference.